Hello everyone! 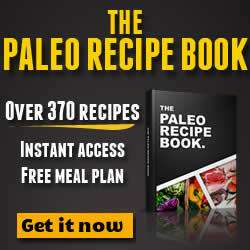 In the previous posts, I have been discussed different tips to help you transition into Paleo diet food. In my own experience, part of being able to resist temptation is also in learning how to improvise. In this article, we will be discussing a rather sticky subject on condiments. I don’t know about you, but before Paleo, I loved to eat with ketchup and other condiments, marinades and sauces, as it adds that extra ‘zing’. Aside from grains, giving up by favorite brand of ketchup and mustard has been quite challenging. But as I have mentioned, unlike any other diets, Paleo diet food options are anything but bland and boring. By learning a thing or two on improvisation, you can still continue to enjoy delectable dishes without missing that ‘zing’. While it is true that you will need to bid goodbye to that favorite brand of corn-syrup laden ketchup or your favorite commercial BBQ sauces packed with MSG, it doesn’t mean you should sentence yourself into a lifetime without seasonings, dressings and condiments. This one is a classic favorite of many. The good news is, mustard can be made using Paleo ingredients, which means, you still can enjoy your Paleo burgers and other dishes with it. There are a number of all-natural mustard products available in the market today. Take time to read product labels and steer clear from anything with ‘Natural Flavorings’ and ‘Additives’ on its list of ingredients. If the mixture is overly thick, add a few more drops of vinegar to thin it out. Store your mustard in the fridge. This is one staple in salad and other dishes. In the past, I used to add an extra few tablespoons of mayonnaise, as I have always loved its taste. 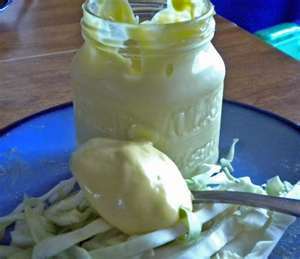 You can create your own version of mayonnaise without the guilt by simply using egg yolks from pastured hen then blending it with avocado oil, along with a few dashes of onion and garlic to add that extra punch. Refrigerate overnight before use to allow all the flavors to settle and develop. Simply combine all ingredients and shake well. Store in an airtight container and serve over your fresh salad or use it as a dip. Keep it cold and thick by refrigerating it. Life is just not the same without a great BBQ sauce recipe to enjoy and share with loved ones. I love to entertain friends over BBQ at my place, which prompted me to try and taste different Paleo-friendly BBQ sauce recipes. Here is a highly recommended one. To prepare, warm oil in a saucepan. Sautee shallots and garlic over medium heat. Baste it over your animal meat and allow it to marinate for 3 hours. 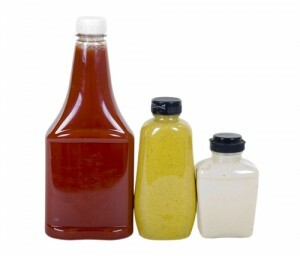 These are just a few of the condiments and sauces you can use. I am pretty sure there are a number of dips, marinades and sauces that can go well with any Paleo diet food recipes.